Why would the State of Connecticut go to the trouble of naming the American Shad the official “state fish”? Historically, the spring shad run, in which these fish return from the sea to spawn in their traditional freshwater habitats in tributary streams along the Connecticut and other rivers, was an important economic and, to some extent, social element of life in the region. The appearance of the fish each spring was as anticipated as the celebrated return of the swallows to Capistrano. Spring shad runs provided the opportunity for both organized fishing companies and individuals to share in the benefits of this annual occurrence. Besides its importance as a local food source, in the 18th and early 19th centuries dried shad was one of the local products shipped in large quantities to the American South and the West Indies. 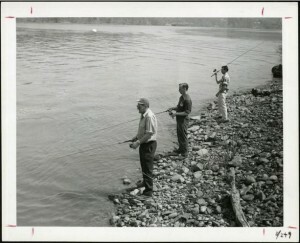 Shad fishing took several basic forms: running nets off piers, especially in the lower reaches of the Connecticut River; drift netting from small skiffs; and dip netting or even angling. I can remember my two great uncles and their contemporaries dip netting for shad at the Enfield dam in the 1950s and 1960s. They would return home with large buckets of these fish, which would fill our freezer for months. The annual shad run frequently included a strong social component. 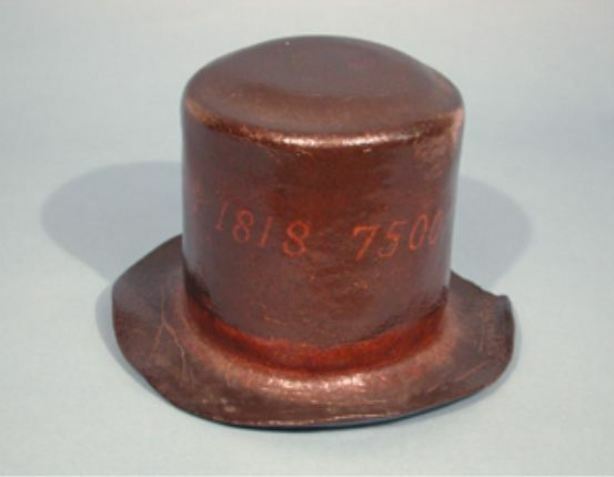 A “Shad Hat” in the Connecticut Historical Society collection may relate to this part of the story. Community gatherings and celebrations often attended the shad run, and some Connecticut River towns continue to hold an annual shad festival, replete with a “Shad Queen” and a feast known as a “shad planking.” Planking refers to the method of cooking the rather oily shad (a member of the herring family) by nailing the dressed fish to hardwood boards placed vertically around a roaring wood fire. The fish would bake and the excess oil would drip down the boards, improving the quality of the finished product. 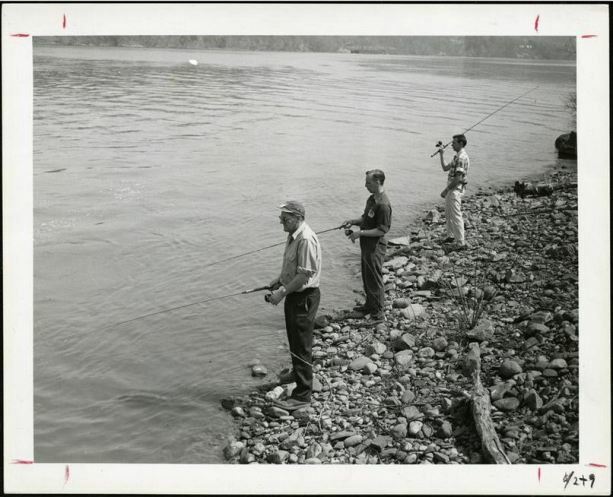 Today the shad run on Connecticut rivers is a mere shadow of its former self, due in large part to the historical impact of dam construction and a legacy of poor water quality. Ongoing efforts to reintroduce Atlantic salmon on the Connecticut River are in turn aiding the shad in improving access to traditional spawning grounds. Richard Malley formerly Head of Collections at the Connecticut Historical Society.